Pink feather hat. Credit: Aline Smithson. 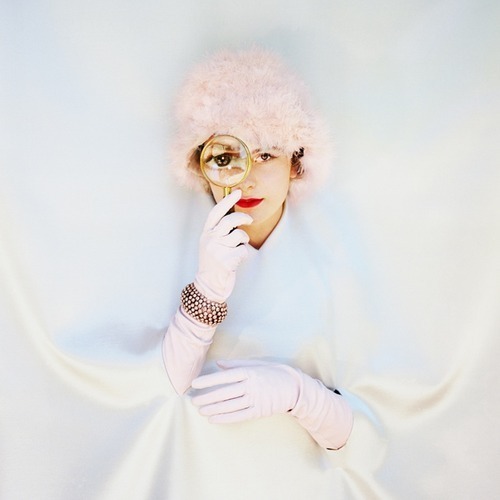 Aline Smithson, an award-winning photographer and founder of the blog Lenscratch, will publish her first monograph with some help from The Magenta Foundation, a Kickstarter campaign and her friends. Her book, Self & Others: Portrait as Autobiography, will include more than 100 fine art portraits pulled from 18 bodies of work, produced over a stretch of more than 20 years. Cleo with a Mirror. 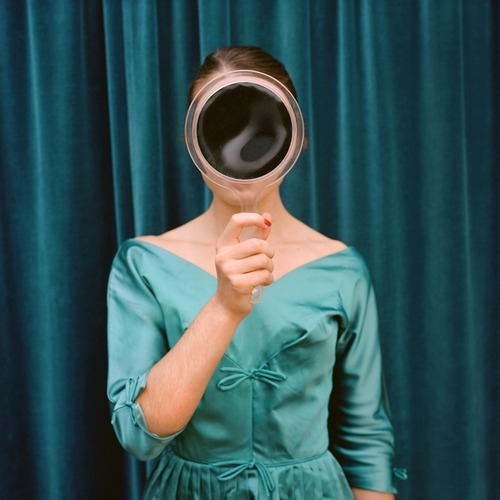 Aline Smithson. As of Friday, with five days to go, the campaign has raised $57,500, more than double the set goal of $25,000. Only a handful of publishers are left that do not require the artist to pay for a book to be published, but the book must “fit their aesthetic and have a broad audience,” Smithson said. Had her crowdfunding campaign failed, Smithson said she would have had to finance the book herself to the tune of $15,000 to $35,000. 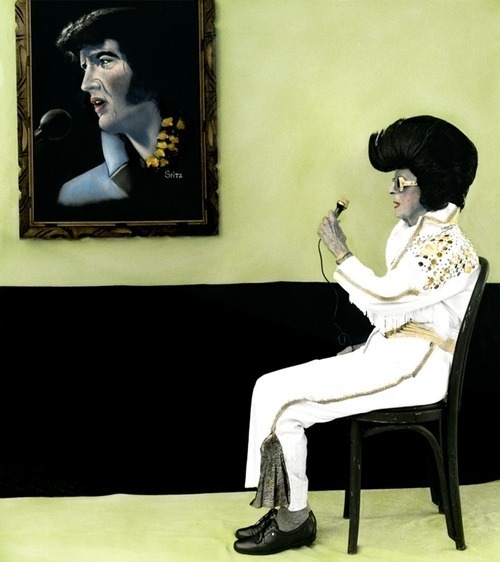 Arrangement in Green and Black #14: Portrait of the Photographer’s Mother as Elvis. Credit: Aline Smithson. Backers who pledged the highest reward amount of $2,500 will receive a limited edition hand-painted silver gelatin print from her Arrangement Series, which is featured in the book. The subject for this series was her mother. Self & Others: Portrait as Autobiography will be published in fall of 2015. To learn more about Smithson, you can visit her well-known industry blog, Lenscratch or visit her website alinesmithson.com. 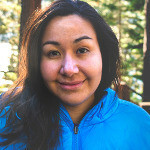 Sandra is a writer and photographer based in Northern California. She is a believer in the power of crowdfunding to move projects and people forward.